At OCFA, we are delighted to have been chosen by The Oxfordshire Construction Training Group to provide our First Aid at Work, First Aid at Work (requalification) and Emergency First Aid at Work training courses for their members. The Oxfordshire Construction Training Group was formed in 1994 in conjunction with the Construction Industry Training Board to provide local, high quality, realistically priced training, designed to meet their Members' needs. They have become a one-stop-shop for advice and assistance on all aspects of construction and related 'soft skills' training. They provide a myriad of construction-specific training courses from SMSTS (Site Management Safety Training Scheme) courses, Safe Work at Heights, Asbestos Awareness and PASMA Safe Use Of Towers courses to name but a few. There are many benefits for companies in the construction industry to join OCTG. Firstly, it shows an ongoing commitment towards the development of their staff but also because they can gain access to subsidised training packages and funding and receive significant discounts on related Health & Safety training. In fact, a company only needs to place a few members on our First Aid courses via the OCTG to have covered the cost of joining the Group! Please click here to discover more benefits of membership or click here for their website. In particular, we would like to thank David Holbrook at The OCTG for his help and support in promoting our services to his membership and we look forward to working closely with him and the member organisations over the coming months. We are delighted that more organisations are purchasing defibrillators and clearly increasing the chances of saving a colleague's life. We're also delighted that our message about defibrillator training being as essential as the equipment is starting to be recognised by increasing numbers of organisations. Training is essential because individuals need to be able to cope with an extremely high-pressured situation where every second lost could make a difference. "When considering the purchase of a defibrillator, we received comprehensive advice from OCFA enabling us to make an informed decision on the most suitable piece of equipment to buy. They worked closely with us to ensure our specific training needs were met and they delivered an appropriate practical training workshop for our staff." "Their professionalism throughout this process has meant that we will be discussing our future training needs with them." 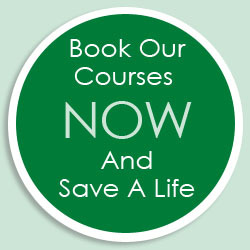 Also during the last few months, we have run quite a few courses for Oxford University and therefore would like to thank The School of Geography and the Environment, Hertford College, Christchurch College, Wolfson College, St Edmund Hall, and the University Safety Office, who have all benefited from OCFA training courses. In this month's Hints and Tips, we are looking at dehydration. Symptoms of dehydration can include: dry mouth and dry eyes, dry and cracked lips, headaches, lightheadedness, dizziness and confusion, dark urine or reduced urine passed, cramp, and pale skin and sunken eyes in babies and young children. Dehydration occurs when the amount of fluids lost from the body are not adequately replaced. In the elderly and infirm, dehydration can often result in confusion and these groups are particularly at risk. Get them to drink plenty of fluids – this should ideally be water but a rehydration drink, such as a sports drink, will suffice. They should stop taking fluid on board once their symptoms have significantly decreased. Avoid alcohol or caffeine because these also have a diuretic affect. If the casualty is suffering from cramp, stretch and massage the affected muscles and advise the casualty to rest. If the casualty remains unwell seek medical advice straight away. Congratulations to Hannah Sichel from The Mogford Group, who correctly answered that it is St Giles Fair that is held in Oxford in September each year. Hannah wins a £50 voucher for a meal for two at Fallowfields Country House Hotel - a Three AA Rosette Restaurant set in the stunning Oxfordshire countryside in Kingston Bagpuize. This month, we have a delicious Ben's Cookies Hamper to give away, because now the Summer Holidays are over, we can all eat chocolate again! To celebrate the ninth series of "Lewis" filming in Oxford over the summer, what is the name of the actor who plays Robbie Lewis? Email your answer and contact details to Jane at: info@ocfa.co.uk and we'll draw one lucky winner from the correct answers on Friday 25th September 2015.